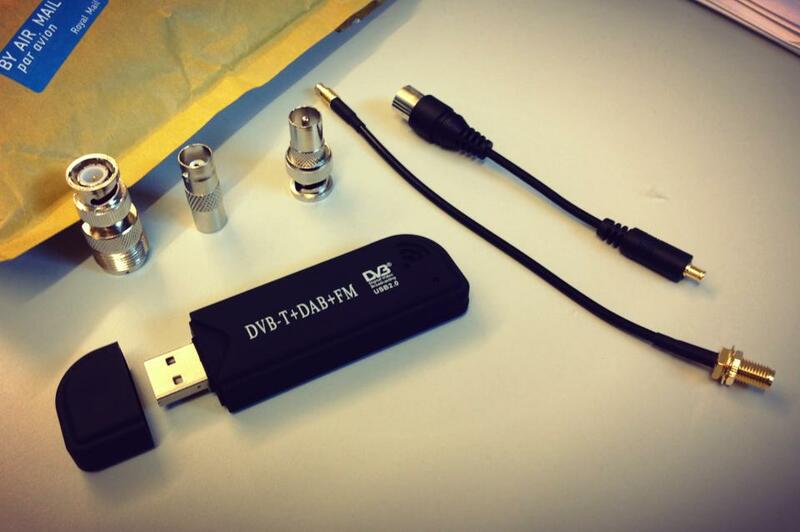 An RTL-SDRÂ RTL2832U-based DVB-T dongle is my latest gift. I’ve been introduced to RTL SDR by IZ5XRC that talked to me about this interesting recycling capability of DVB-T Dongles. If you are curious to know, in few words, with a common dongle used to watch TV on your PC, you can easily use it as a Radio Receiver o a Radio scanner. Frequency range can be very wide, covering from HF to UHF. Dongle I bought can cover from 26 MHz to 1700 MHz. So far is possible for you to use it to listen to Amateur Radio communications on 144-146 Mhz or 430-440 Mhz range, as well as listen to all comunications done in clear in a very wide range of the radio spectrum. By running in conjuntion to the dongle, an SDR software likeÂ SDR# an open source application that allow to wave on the radio frequencies changing modes and setting, like a real digital radio. I bought the dongle, RTL2832U-based DVB-T dongle with R820T tuner, on ebay from UK and for less than 18 euro, got the dongle and all connection cables, needed to connect the USB stick to an external antenna that is very important when you want to start listening properly to a wide spectrum. Not all dongles are compatible and can act as an SDR. Only dongles with Elonics E4000 or Rafael Micro R820T can work. Not all dongles cover same frequencies. Moreover if you look for them at your favourite electronic shop, verify also that in the box to be clearly written “DVB-T – DAB – FM” because it will work only if they have FM. Both chipsets will work under Windows, Linux and MacOSx, and you can run several SDR software to play with your stick.